Poor yellow gets a bad rap (we mean, it even has its own phobia!). Our question: Why? We mean it’s a primary color, it’s naturally-occuring and it makes you happy just looking at it. According to Pinterest’s latest home report, folks these days are in agreement—search for yellow wallpaper is actually up 275 percent. In these complicated times, are people looking to sunny yellow prints for the home? It seems so—and boy are we on board with it. Below, join us in dipping your toe into the not-so mellow yellow pool. 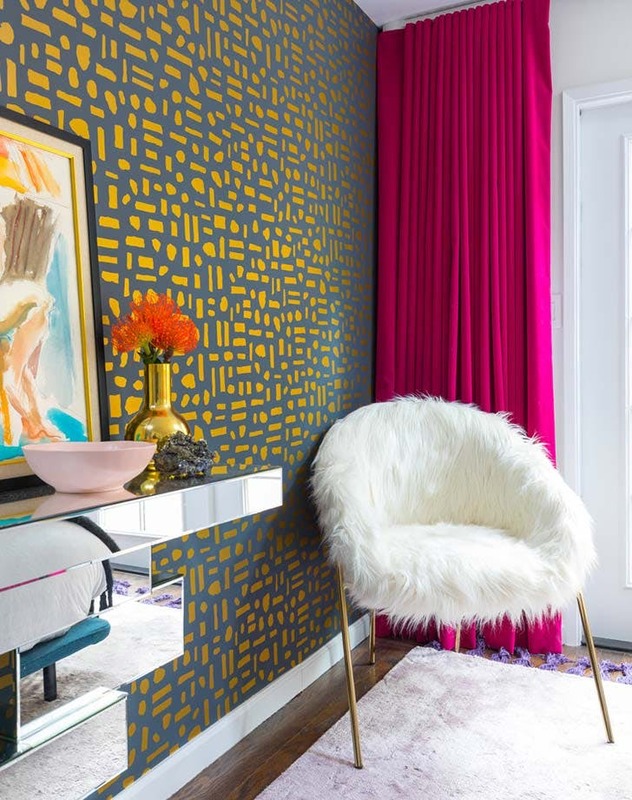 Have a space in search of a design dare? 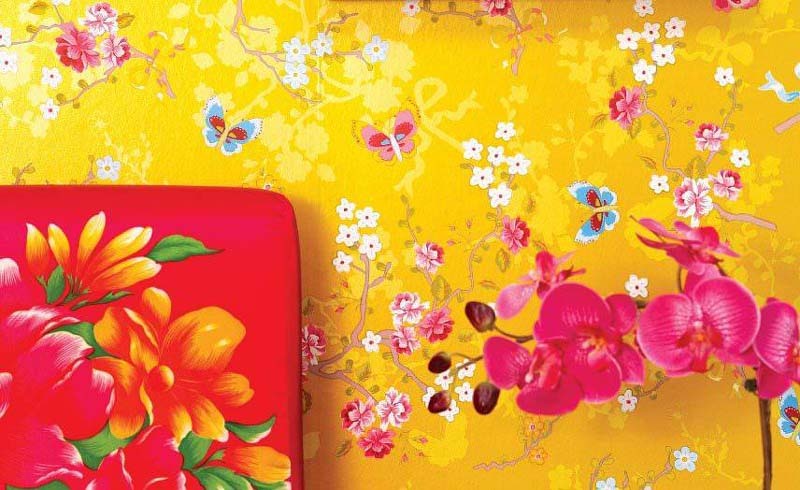 Look to a happy yellow wallpaper that riffs on geometry. 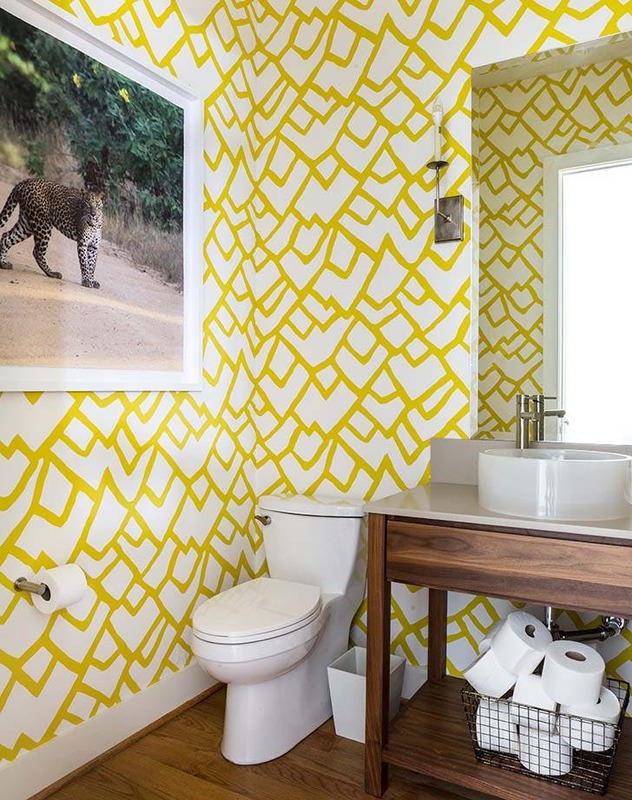 We love the nuance of a sunflower-toned zigzag paper in this warm powder room by Studio Ten 25. Think yellow is extreme? Think again. 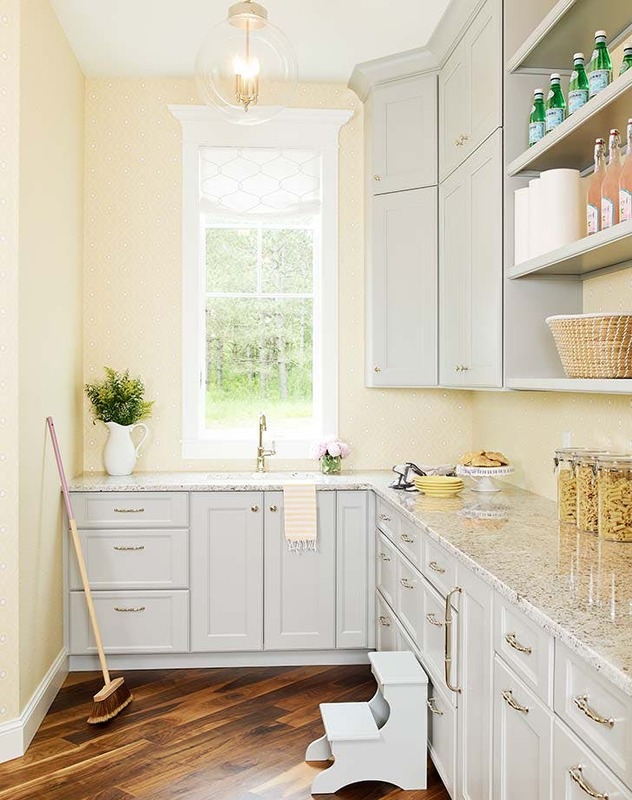 In this smile-inducing pantry by Bria Hammel, a pale buttercream base and delicate white patterning is downright Zen. 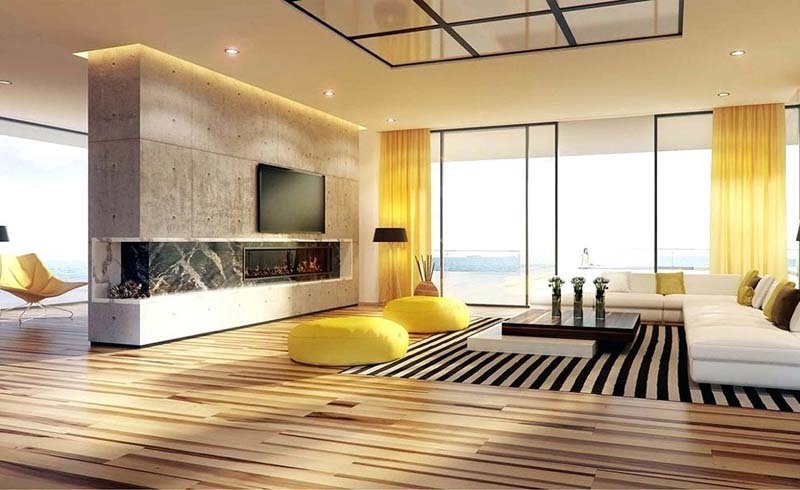 Infuse your space with happy vibes by adopting a more-is-more approach to yellow. 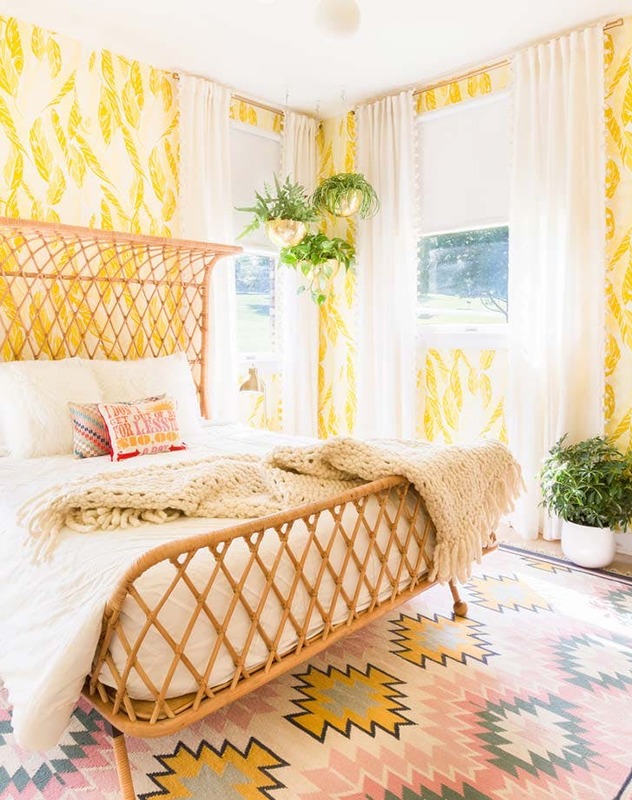 Case in point: This sunshiney guest room by the ladies at A Beautiful Mess. Another fun way to rock the trend? By pairing with a decidedly moodier and neutral colorway—like Black Lacquer Design did with this chalky gray base.